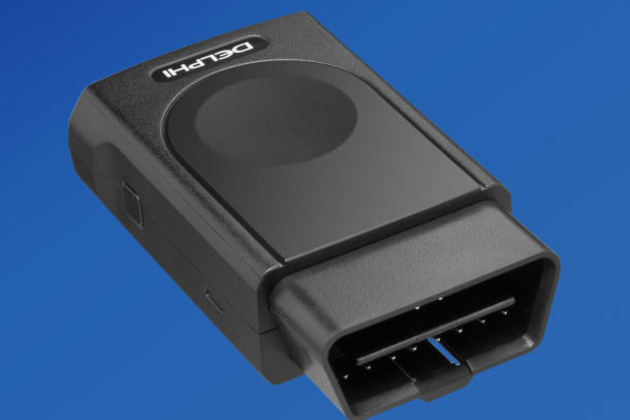 Delphi and Verizon this week unveiled their new Car Connect device — a small device that allows users to remotely monitor, control, and track their vehicles. Announced at CES this week, the Bluetooth-enabled Car Connect plugs into a car's OBD2 port (typically located under the dashboard), and includes a CDMA data connection to Verizon's network. Once the device is installed, drivers can download an accompanying smartphone app (available for both Android and iOS) that allows them to monitor their vehicle's fuel levels, engine temperature, and other vital signs. The app will also notify drivers of any error codes that may prompt them to check their engines.